Even before the time that the railway reached Goulburn in 1869, there were calls for the line to be extended into the Monaro. 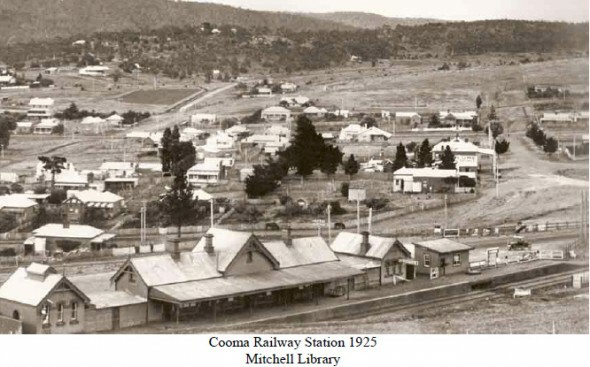 The line to Cooma (through Queanbeyan, Michelago, Bredbo and Bunyan) was eventually opened in 1889, with later extensions through to Nimmitabel (1911) and Bombala (1921). The line closed in 1988 – exactly one hundred years after its establishment. The billboard signs now have no rail passengers to talk to (though they still ‘serve’ the adjacent highway traffic). We tend to look at billboards in terms of the messages they display, rather than as large constructions plonked onto the landscape. They (almost) never draw attention to themselves as objects. We are so accustomed to their presence as we travel that we don’t really take notice of their physicality either. 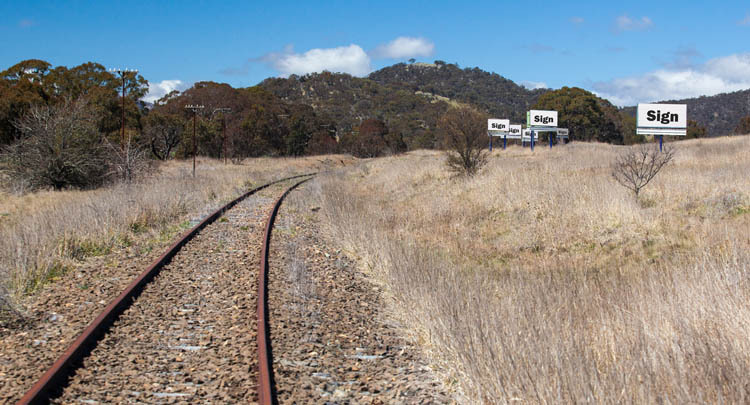 In this image, a scene along the closed Cooma rail line, the signs have nothing to say about fast food outlets, ski resorts or car repairs. Their only function is to declare their own ‘sign-ness’. 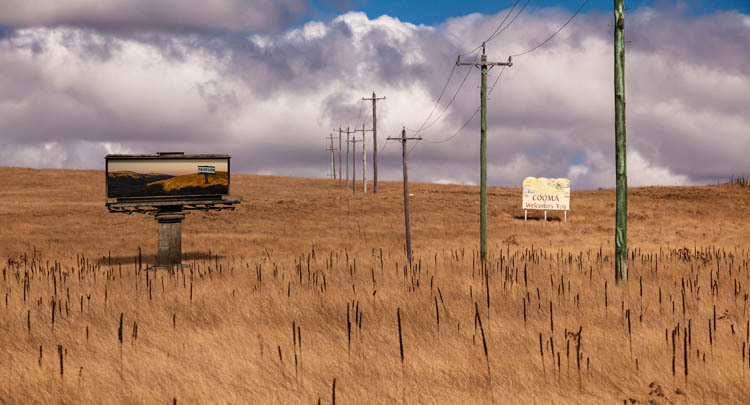 The road down through the Monaro towards Cooma is lined with innumerable advertising billboards, navigational signposts and ‘Welcome to…’ signs. My favourite is a sign which simply declares: “Monaro Merino Country”. It’s straightforward, unequivocal, indeed perhaps a little blunt. This is sheep country. The passing motorist is left with no doubt about how they should regard the landscape that expands before them as they head south – the gold and brown treeless plains and the undulating wooded hills, with here and a view to the more distant ridges and peaks of the Great Dividing Range. Alternate readings of the land are not countenanced – or even acknowledged. A little further south, and on the other side of the road, beside a long straight line of old power transmission poles, is another sign to warmly advise all and sundry that “Cooma Welcomes You”. Similar signs can be found on the outer perimeters of most towns, and are probably a world-wide phenomenon. (“Pyongyang Welcomes You”?) But I’ve always been puzzled by these all-encompassing, anonymous messages of civic goodwill, because I’m sure that there are people who are NOT welcome in Cooma (or other places), and to say otherwise is frankly misleading.